9. 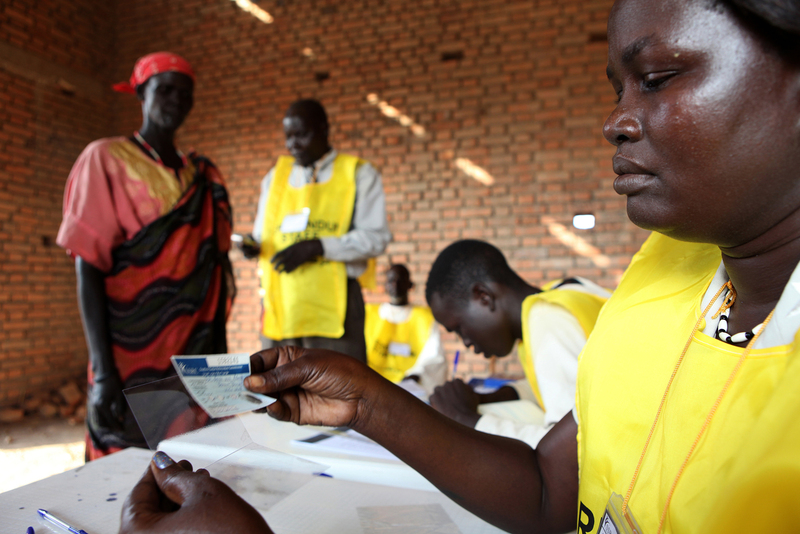 South Sudan Referendum Bureau Registration Officials prepare a woman's voter registration card at the Huang Jooang Referendum Centre in Kuajok, Warrap State. The Referendum is an opportunity for the South Sudanese people to cast their vote for self-determination, and either stay united with the Republic of Sudan or secede and form their own state. After independence on July 9, 2011, South Sudan became the 54th African nation.